This is photo #21 (of 50) in a series about our life in Brazil. Recently Dan traveled to Northeast Brazil to encourage and strengthen the churches by ministering to their leaders. During the 12-day tour he traveled to six cities across 900 miles and met with a dozen pastors and their lay leaders. He spoke to congregations and leadership teams. 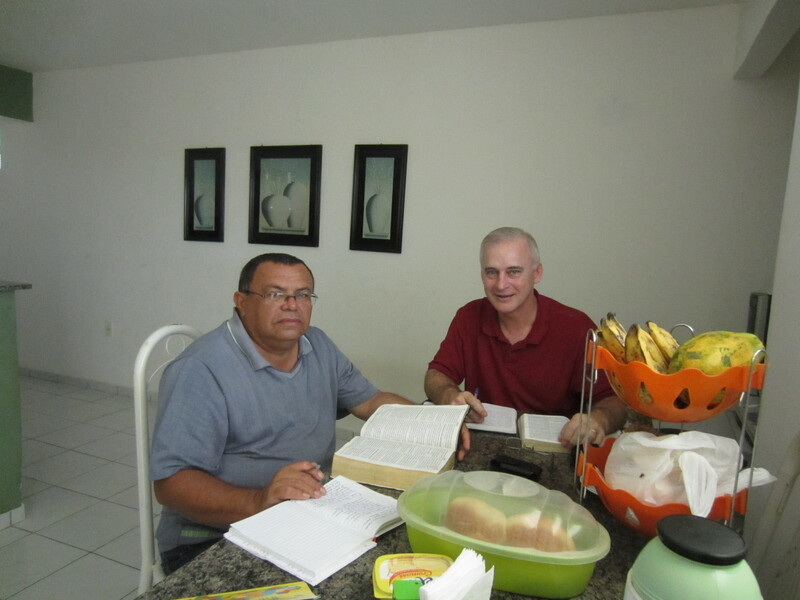 In this picture Dan shares a Bible Study method with a pastor in the city of João Pessoa, a coastal city of 700,000. Thanks for helping us keep connected through these photos so that you don’t seem so far away.